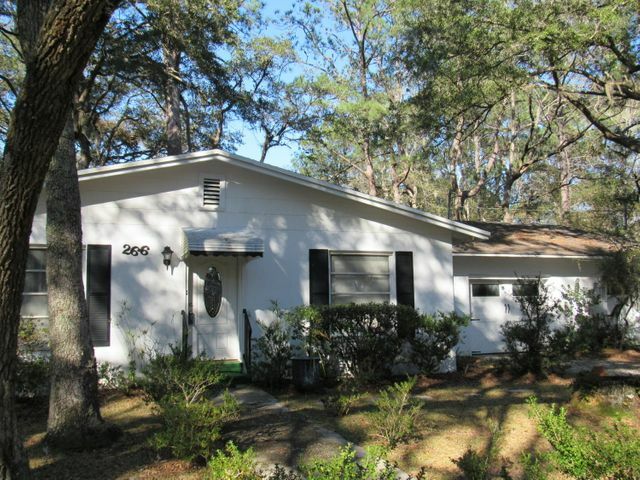 Excellent location and reasonably priced home south of Freeport. Reminiscent of the old Florida, you will find large live oaks and full sized camellias in bloom when you enter this property via the circular driveway. This well kept stucco home is located on two large lots and features some water views of the Bay. Another home can be built here. Updates include A/C, plumbing and some electrical. The dishwasher is new and the home has been kept up to date on pest control and inspections. Office could easily be converted to a bedroom with the addition of a closet. The interior of the home features stained wood walls, built-in cabinets in bath, large living room, breakfast bar in the kitchen, storage room and a large double car garage! Don't miss out on this one! Call for your tour today!